STICKING AROUND: Stefan Rupp, right, pictured with former co-owner Edin Rahic when celebrating at Fleetwood after reaching the League One playoff final. Picture: Martin Rickett/PA Wire. BRADFORD CITY owner Stefan Rupp has today reaffirmed his commitment to the club. 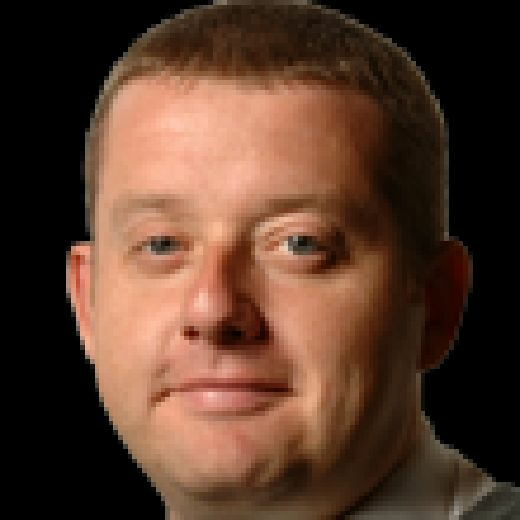 The Bantams are enduring a miserable season and look like dropping into League Two amid a predicted £2m financial loss. Our rebuilding work has already begun. We will deal with what comes our way, I take full responsibility for this, and work harder to come back from it. Rupp, however, has vowed to stick around after also revealing that Julian Rhodes, the club’s interim chief executive, will remain in the post beyond May. 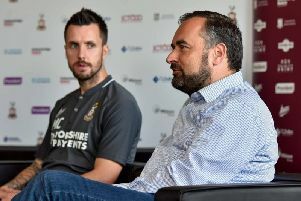 “I will never turn my back on the club and am 100 per cent committed to guiding Bradford City through this difficult period,” said Rupp. “There is still a chance we can avoid relegation but we are facing the reality of playing League Two football next season. Rhodes, a former owner who sold the club to Rupp and Edin Rahic in 2016, answered an SOS call to try and turn the club’s fortunes around late last year. After an upturn in results around the festive season, however, the on-field fortunes have nose-dived and Bradford prop up the third tier with just seven games remaining. Keeping Rhodes, though, will be a popular move with supporters. He said: “I am fully committed to helping steer the club in the right direction and will not run away from the challenges in front of us. “In the weeks and months ahead, we will be making key appointments and putting in place a structure which will hopefully ensure we are stronger next season and beyond. “We will have a real go next season - regardless of the division we are in - with a competitive budget in place to take us forward.